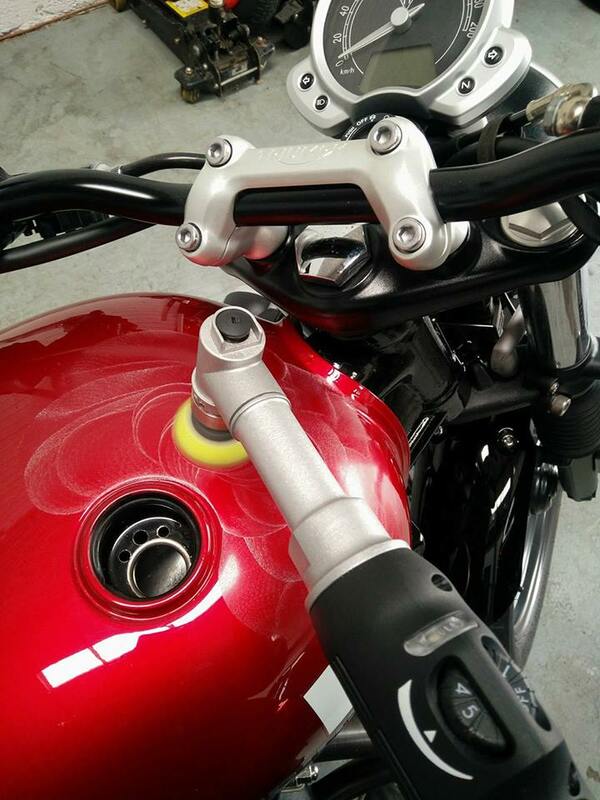 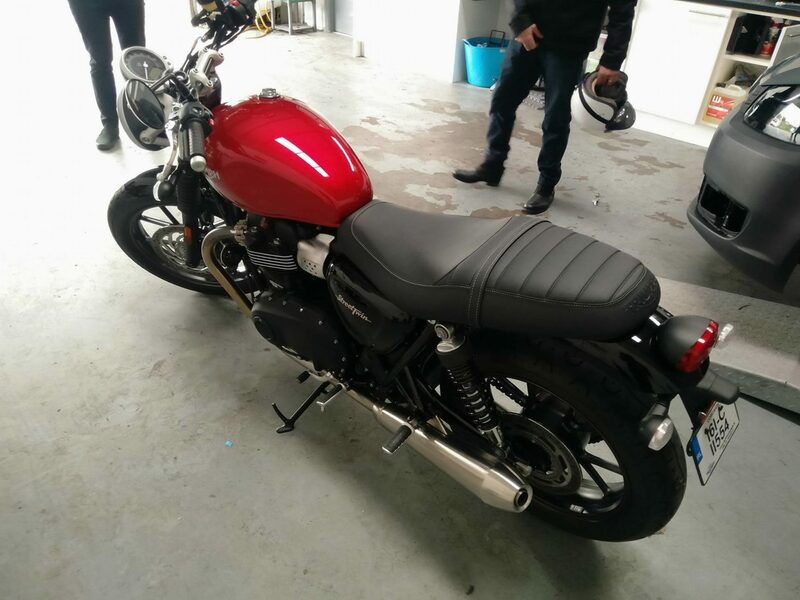 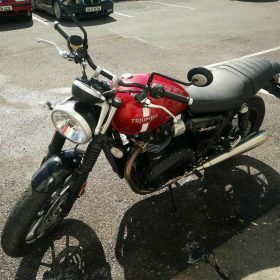 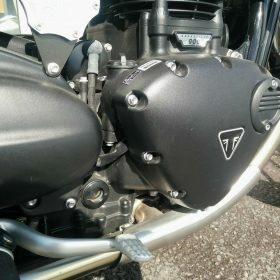 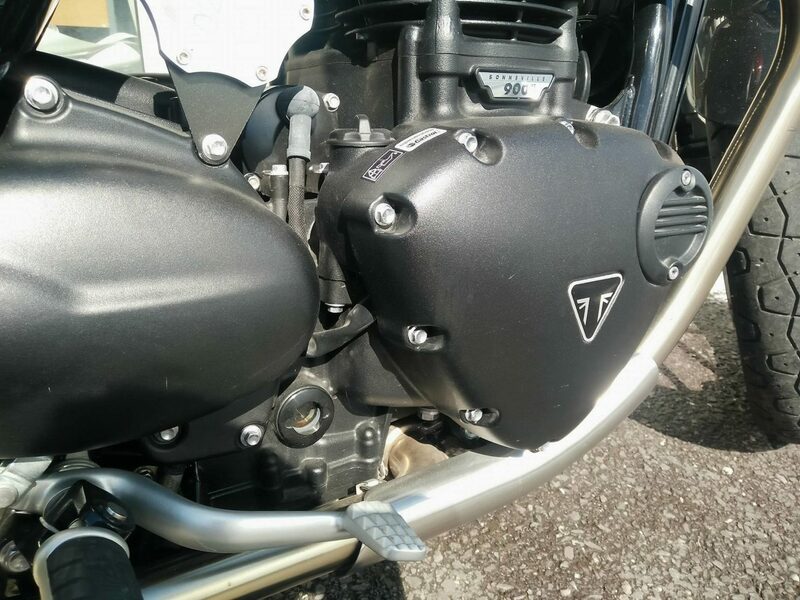 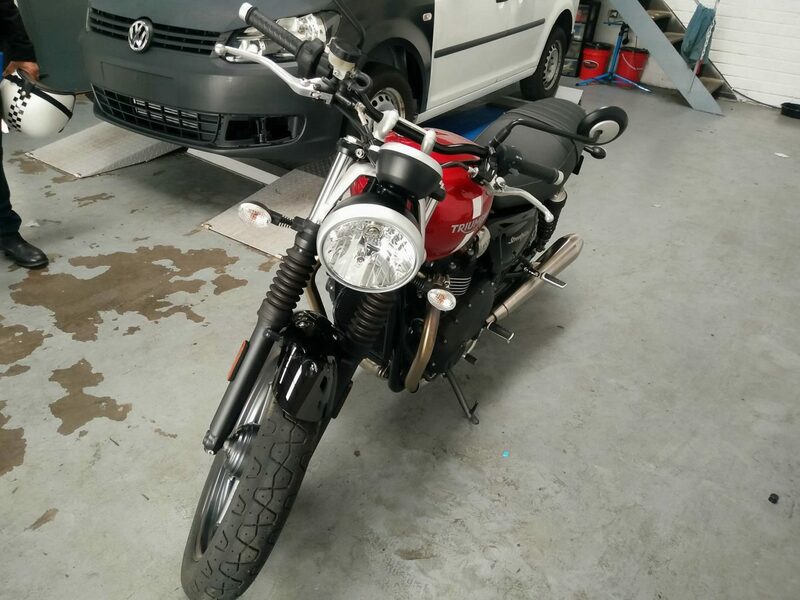 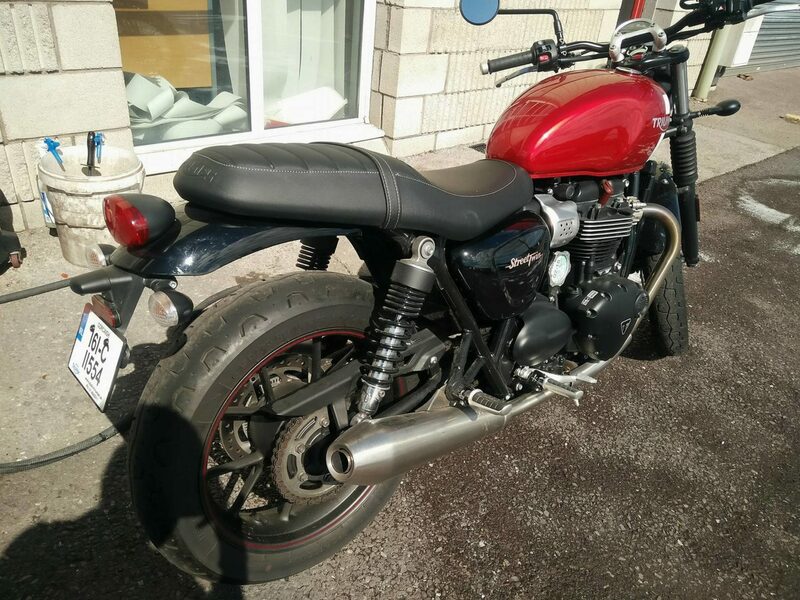 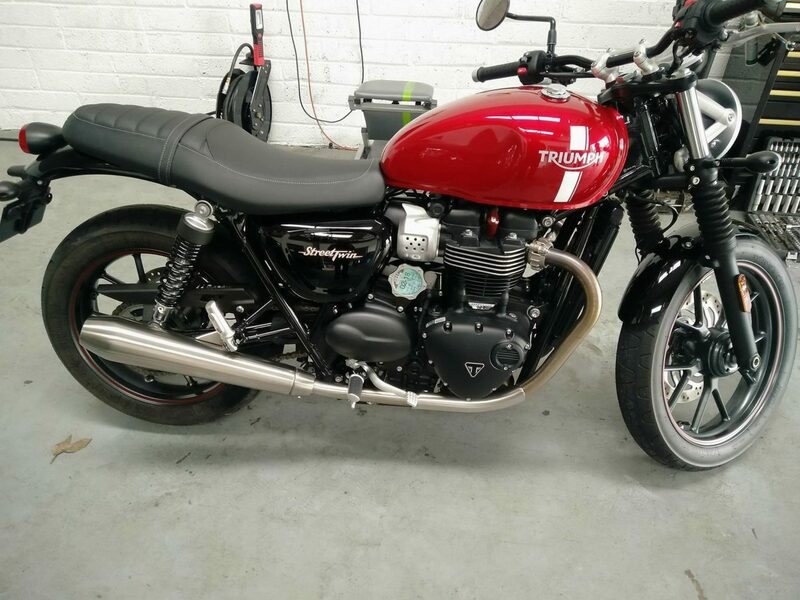 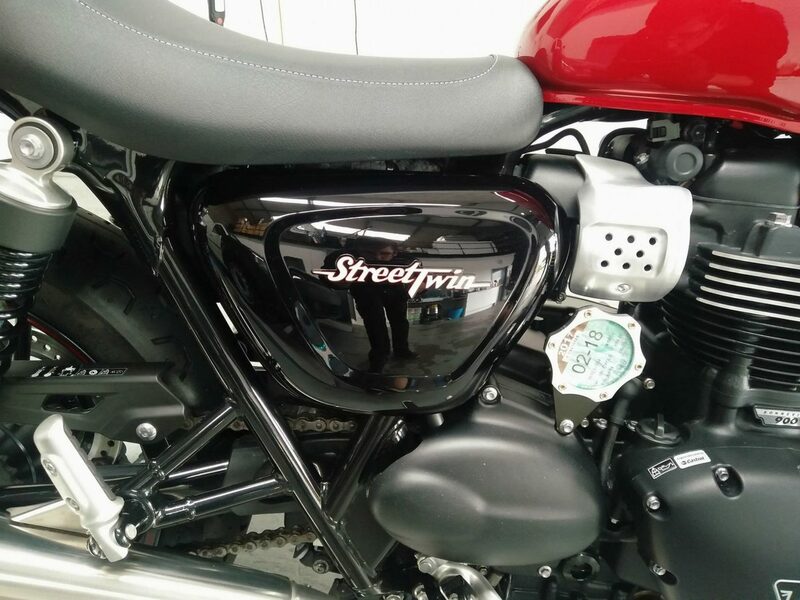 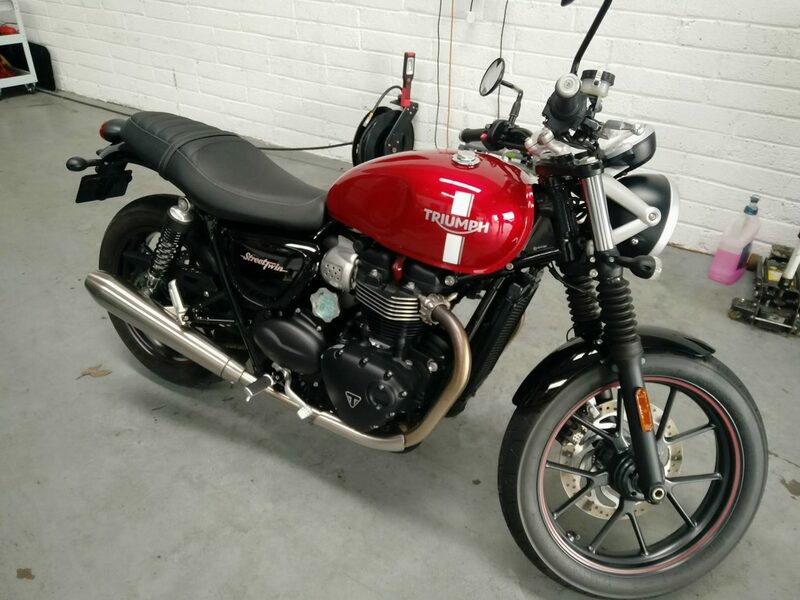 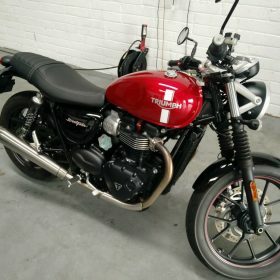 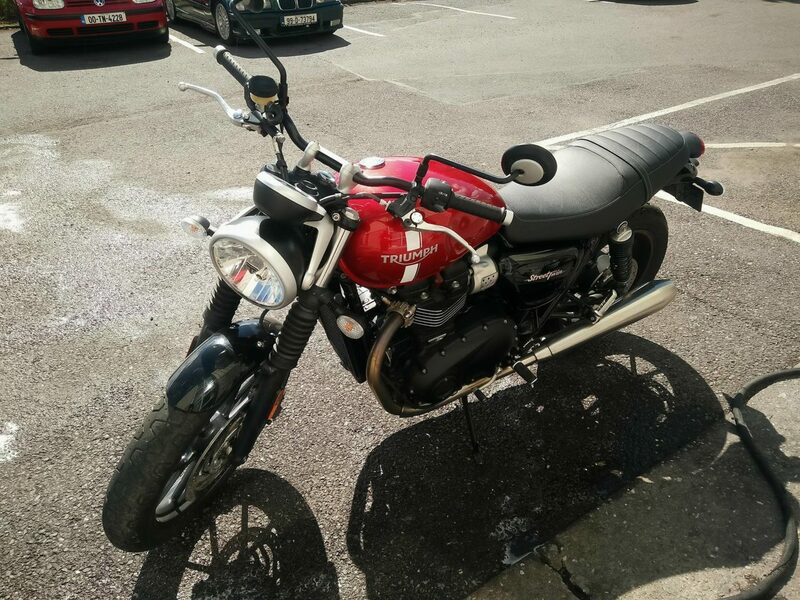 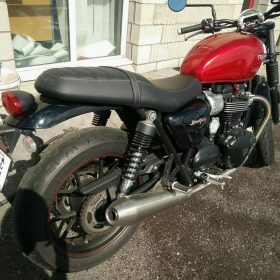 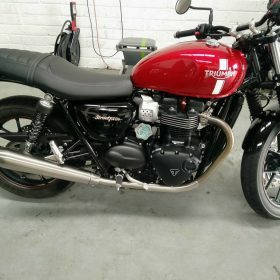 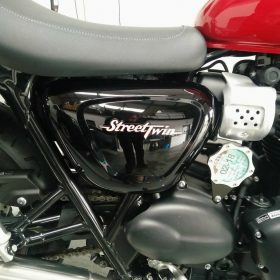 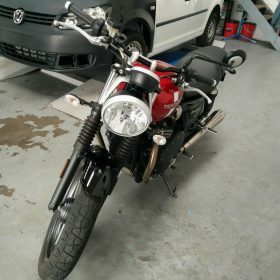 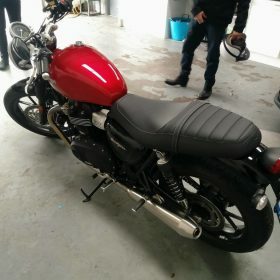 We had this Triumph Street Twin in for a full detail to remove scratches and marks on the paintwork and metals from use and initial dealer prep. 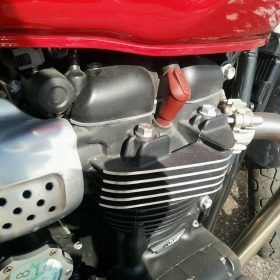 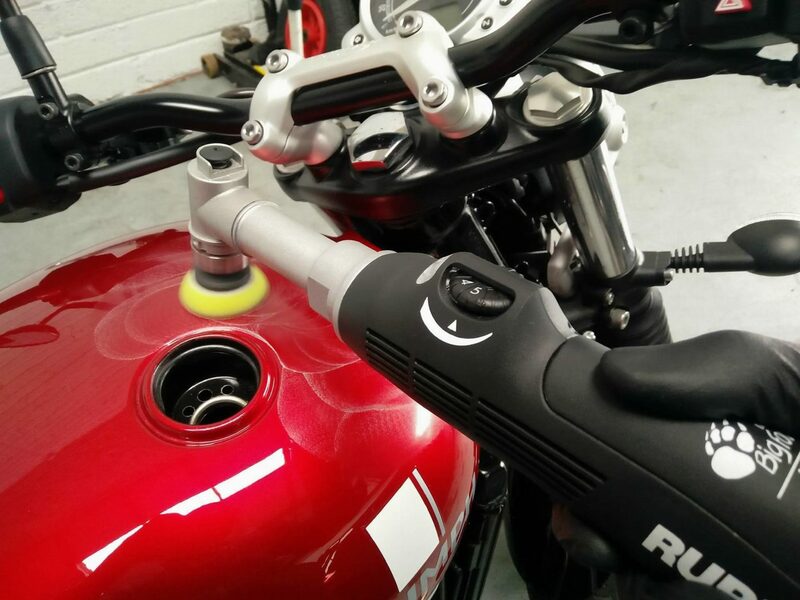 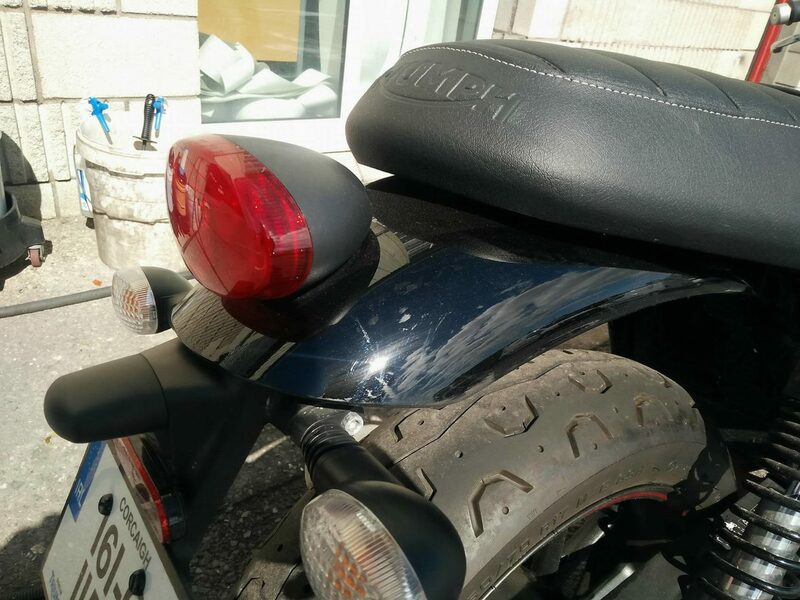 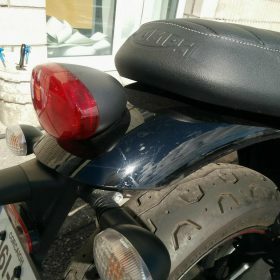 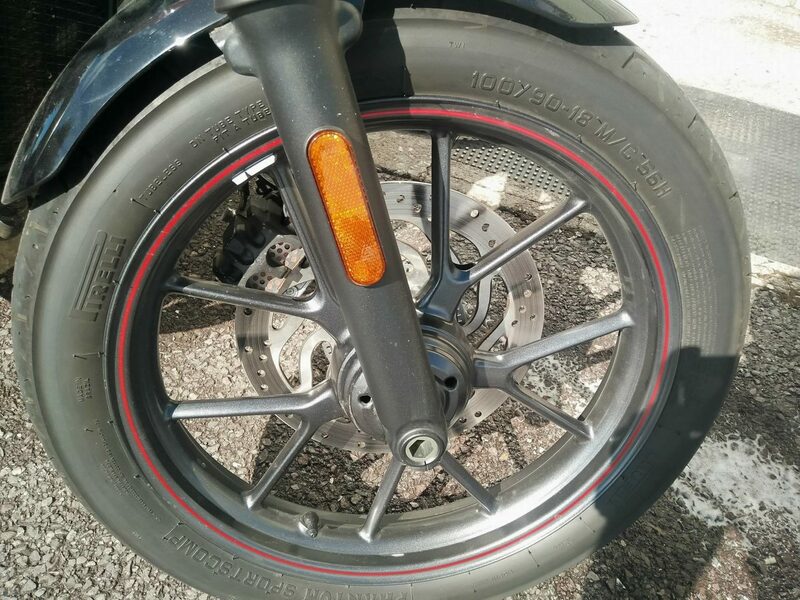 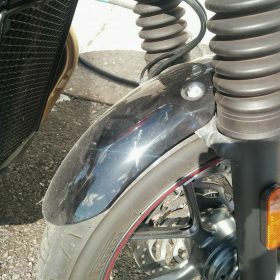 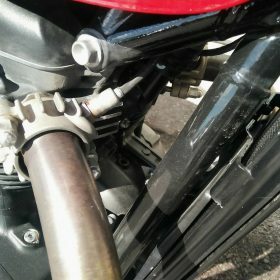 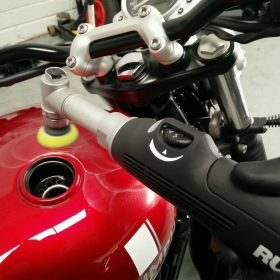 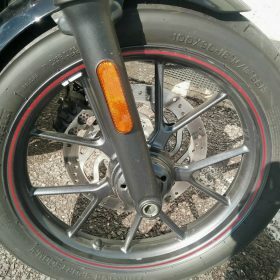 The bike received an intensive wash and clean of all surfaces to remove baked on grime and dirt in all the nooks and crannies. 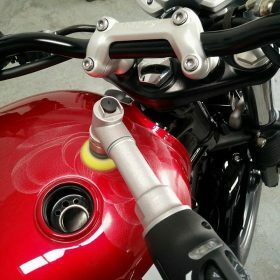 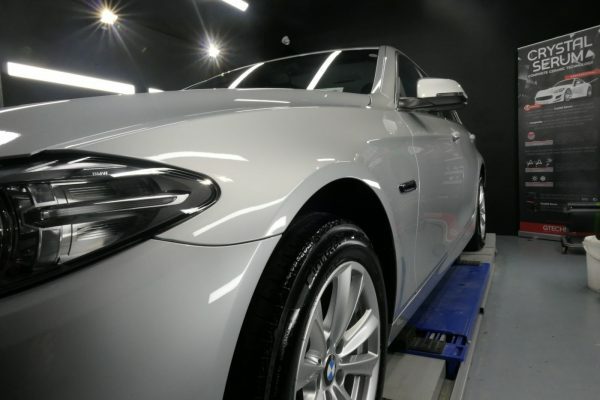 All painted surfaces including the splash guards, engine covers and fuel tank were machine polished to remove scratches and swirls. 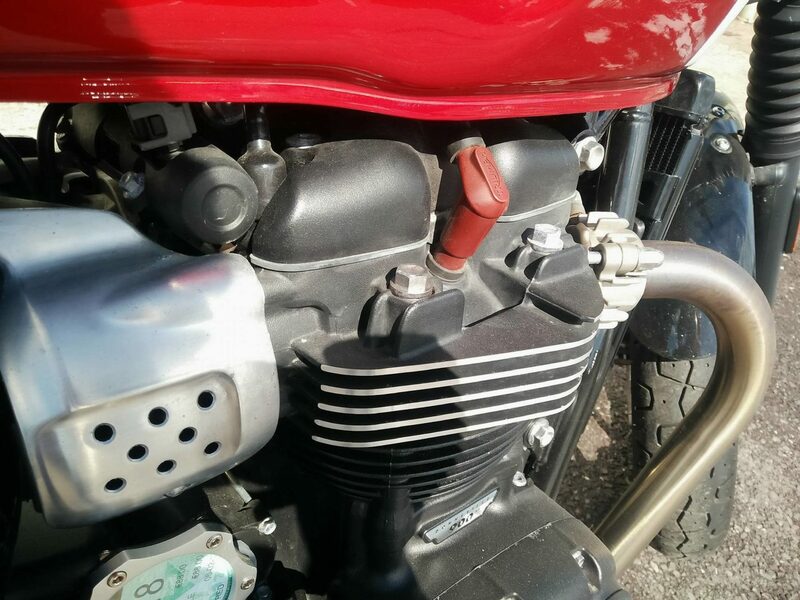 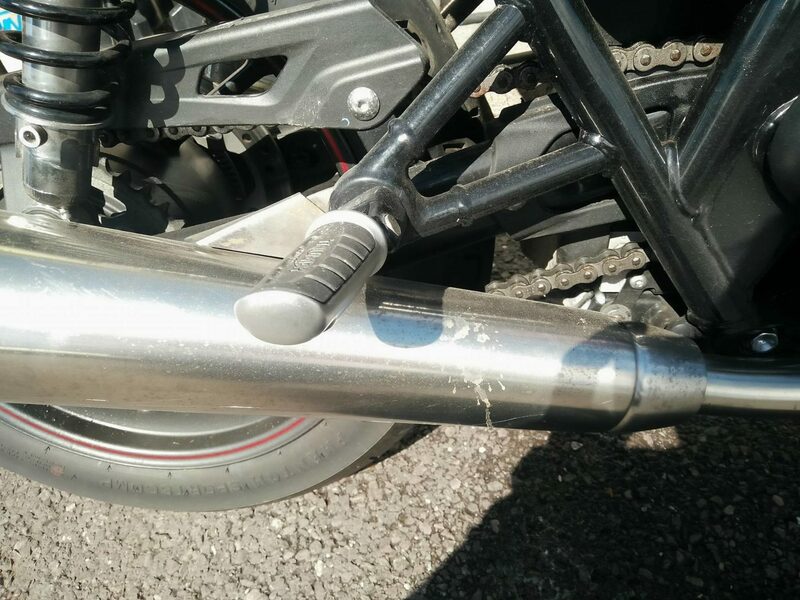 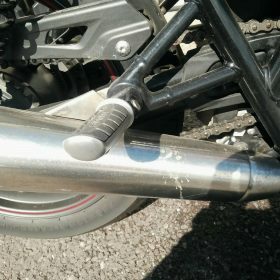 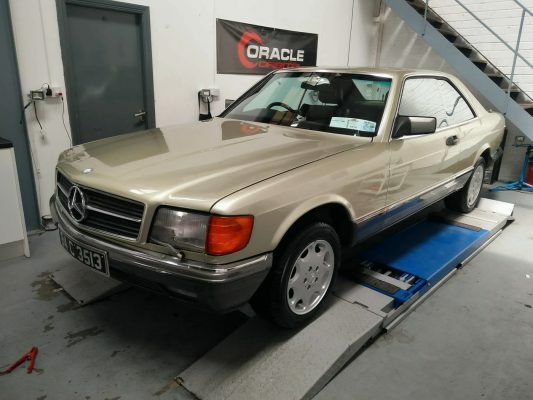 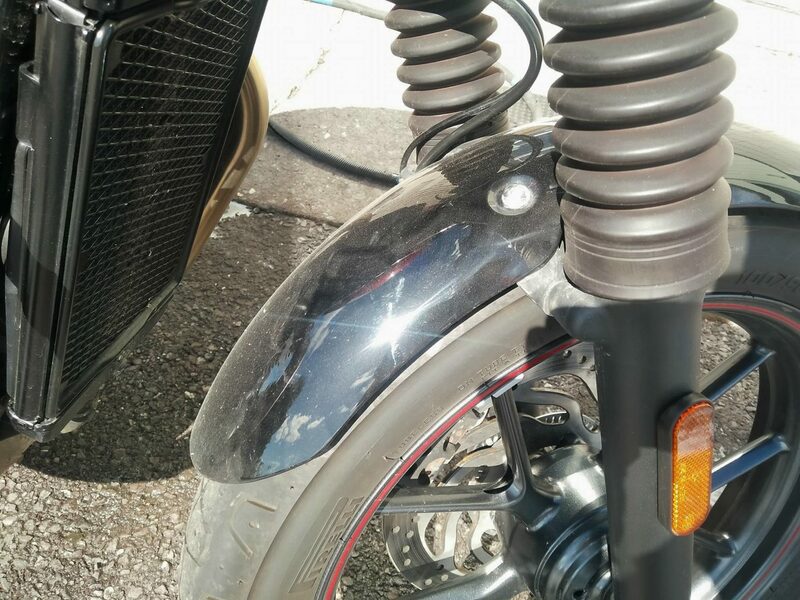 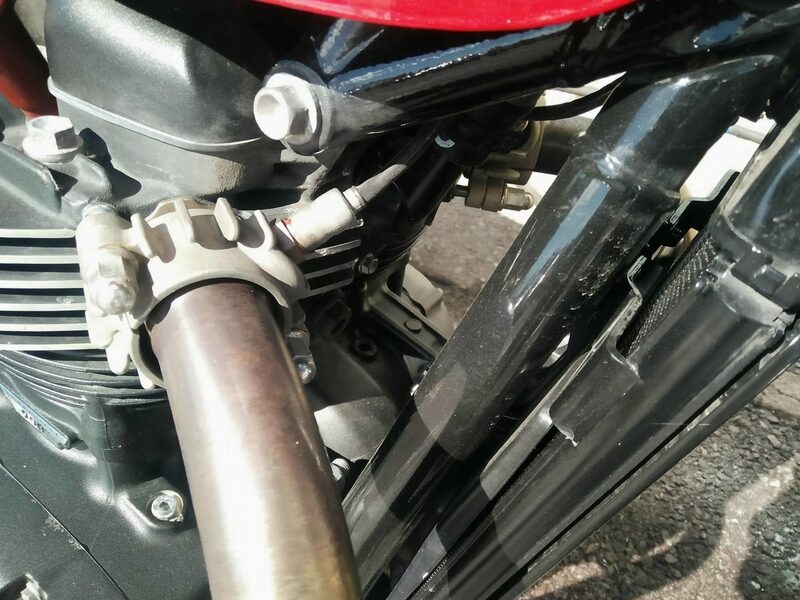 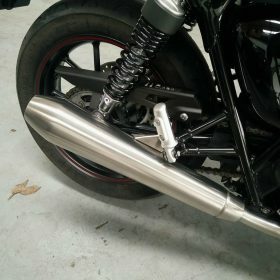 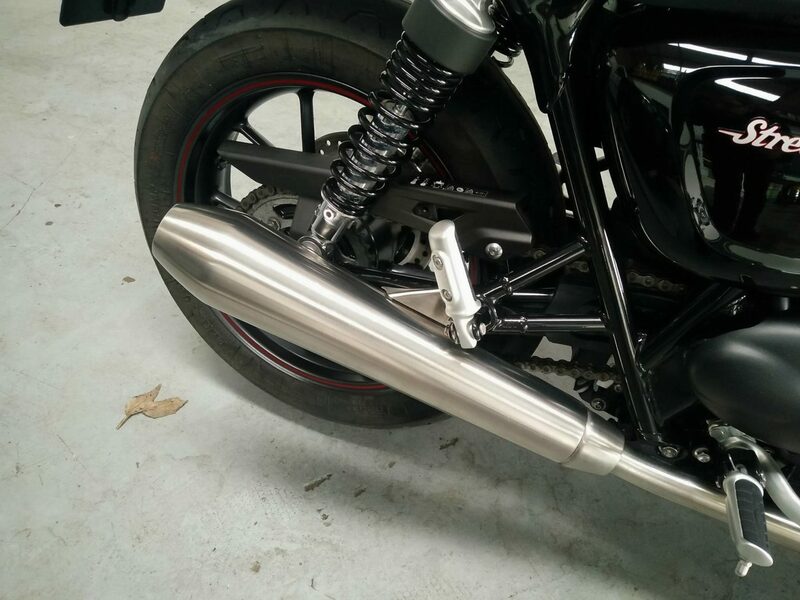 The exhausts were also machine polished to remove any etching and damage to bring them back to new.